Many cities around the world are great places to live because of availability of recreation and high life expectancy rates. Countries that have high physician-patient ratios tend to be healthier than those with fewer physicians. Low infant mortality rates and rates of disease are important to the health of a city, but there are many factors that go into making a city healthy. Exercising, eating well and living a healthy lifestyle are factors that contribute to the health of citizens no matter where in the world they live. There are many ways to measure the health of a city. Some of the factors that affect overall public health include long life expectancies, the overall physician-patient ratio and amount the of toxins that can be found in the environment. Health is also measured by the availability of sports and other activities and disease rates. Some countries spend large amounts of money on healthcare, but that doesn’t really mean they are healthy. Below is a list of the seven most healthiest cities in the world. Iceland is one of the least polluted countries in the world. Iceland has an overall low rate of disease. The country’s TB prevalence is 2.2 per 100,000 citizens and they have seen no cases of H1N1 or avian flu. Iceland also has a high density of physicians, with 3.62 per 1,000 citizens. Reykjavík is the capital and largest city of Iceland. Looks very beautiful and clean. Swimming is a popular sport in Iceland. Swimming has been included in Icelandic school curriculums for over 60 years and every Icelandic resident is required to learn swimming. The wealth of geothermal heat makes Iceland a great place to swim. Open air heated swimming pools are located all over the country and are open year round. Other outdoor sports like hiking and sailing are also popular in Reykjavik. Reykjavik and other cities in Iceland have a very high car ownership rate per capita at about 522 vehicles per 1,000 residents, but they are not severely affected by congestion and have a very low air pollution rate. Austria boasts an infant mortality rate of just four deaths per 1,000 live births. They also have a high physician density of 3.38 per 1,000 citizens. People who live in Austria are covered under government insurance as soon as they secure employment or enter university studies. Pensioners are also covered automatically by law. 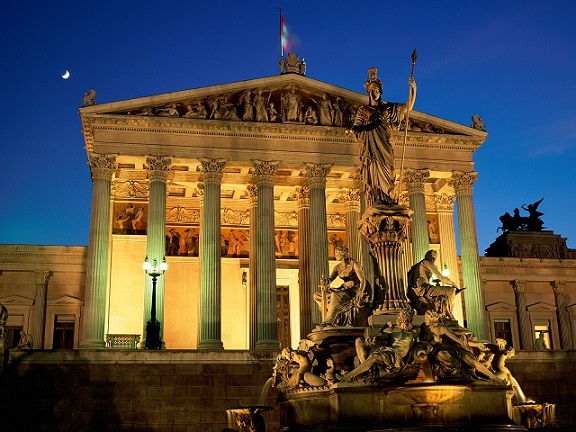 The night walk through the city of Vienna was indeed a unforgettable experience. Vienna boasts skiing in the winter and many recreational activities in the summer months. The city of Vienna host a variety of sporting events including the Vienna City Marathon. This marathon attracts more than 10,000 participants annually. In 2005, the Ice Hockey World Championships were hosted by Austria and the final game was played in Vienna. Australia’s health care system is among the world’s best. Australian insurance companies are required by law to charge policyholders equal premiums regardless of their healthcare past. Australia’s air is also among cleanest in the world. According to the CIA World Factbook, Australia also boasts one of the world’s longest average life expectancy rates at 81.81 years in 2011. 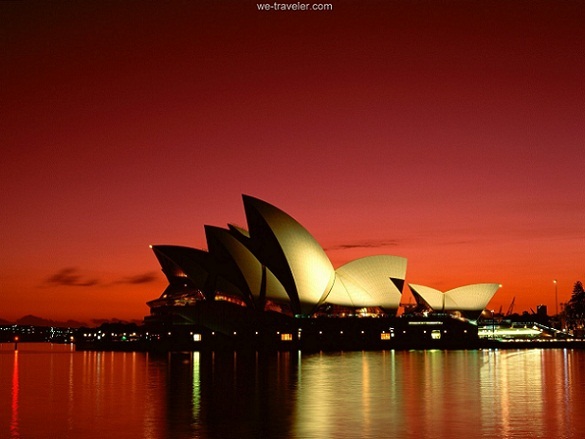 Amazing view of Sydney with red sky as a background. The city of Sydney has a sunny, moderate climate which contributes to a love of the outdoors that many residents share. There are five major national parks located around Sydney that contain about 8,000 square kilometers of open space. The country of Switzerland spends over 11 percent of its Gross Domestic Product on universal health coverage for its citizens. This is a very high expenditure per capita, but gives its residents a high healthy life expectancy of age 71 for men and age 75 for women. Switzerland’s physician density is about 3.61 per 1,000 residents. Switzerland also has a high level of air pollution. 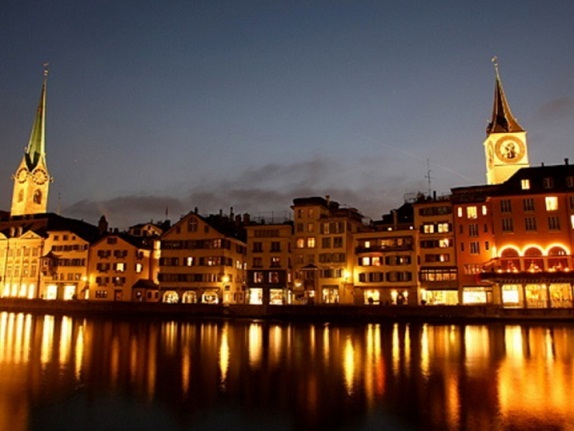 Zurich is the largest city in Switzerland and the capital of the canton of Zurich. Beautiful city. There are many gardens and parks located in Zurich for citizens to walk and bike in. Most of the people of Zurich enjoy an active lifestyle and sports are an integral part of Swiss culture. The abundance of sporting facilities make Zurich a gathering place for sport lovers in Switzerland. Several international sport federations make their home in Zurich. Finland has one of the lowest pollution rates in the world. They also boast a low infant mortality rate of three deaths per 1,000 live births. 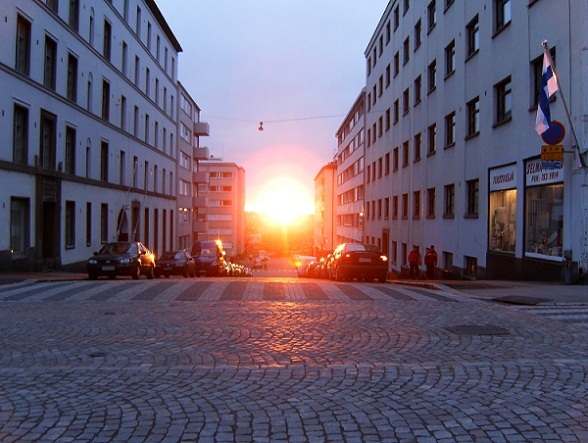 Citizens of Finland can expect to live about 79.27 years from birth. Helsinki, the capital of Finland where Eastern and Western cultures meet, welcomes travelers to discover the Scandinavian metropolis at its fullest. There are about 390 cars per 1000 residents of Helsinki.This is fewer than cities of similar density. Brussels, Belgium has about 483 cars per 1000 people and Stockholm, Sweden has about 401. Calgary is considered the fastest growing city in Canada. It took the top spot in a Forbes Magazine survey of the world’s cleanest cities in 2007. 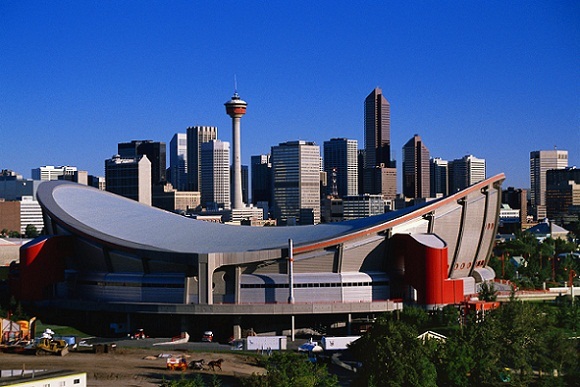 Calgary is close to the Canadian Rocky Mountains, which attract winter sports enthusiasts from around the world. Canadians are known for their universal health care system. The country only has about 2.1 doctors for every 1,000 citizens, and they boast one of the longest average life expectancies in the world. Canadian citizens can expect to live to be about 81 years old. 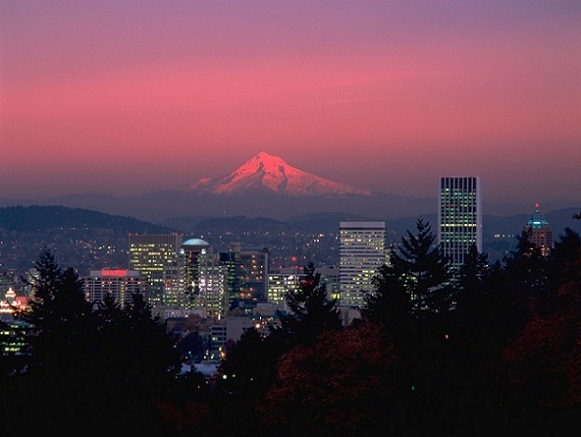 Cooking Light magazine ranked Portland second on its list of healthiest cities. The city offers 277 miles of bike paths, and city planning that minimizes sprawl. The rainy weather is one issue that can make Portland a difficult city to exercise in. Portland is a city located in the Northwestern United States, near the confluence of the Willamette and Columbia rivers in the state of Oregon. Portlanders and other Oregonians must find indoor fitness activities to keep them healthy. Using an elliptical guide is essential for them to find a machine to keep them fit. Portlanders also enjoy 227 parks and about 146 miles of forested hiking trails. Thanks for sharing such nice pics. If you can show us more pics like that then it will be a very good experience for us. Thanks for providing the information related to Seven Healthiest Cities In The World.All the cities is so good but I like Sydney very much. Because their are many places in Sydney for traveling. I love Sydney. Thanks for your posting. i really like your blog. 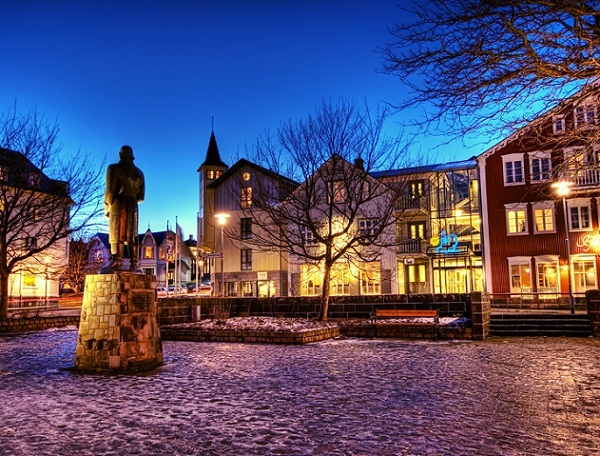 Reykjavik does look amazing, such a pity is so freakin cold!